Bring Middle-earth home! 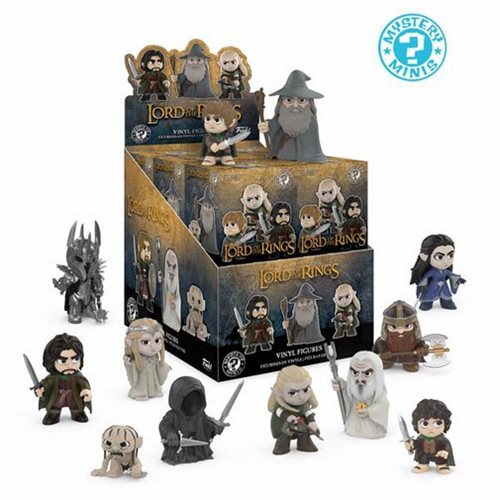 The Lord of the Rings Mystery Minis include Frodo, Samwise, Merry & Pippin, Aragorn, Gollum, Saruman, Galadriel, and many more! Each stylized vinyl figure measures 2 1/2-inches tall and comes packaged in blind boxes. Collect them all! Ages 3 and up. The Lord of the Rings Mystery Minis Display Case includes a total of 12 individually packaged mini-figures.